Five separate deals totalling 28,527 sq. ft. will produce a headline rent of £63,500 per annum. Refurbishment of 20,000 sq. ft. first floor space begins following the expiry of the lease to Aviva in December 2016 and concludes the £1.5m investment in the building. South West Ambulance Service NHS have completed on a new 15-year lease for two floors totalling 20,000 sq. ft.. This will produce headline rent of £300,165 per annum. Equitable Life will take 28,424 sq. ft. at a headline rent of £426,360 (£15 per sq. ft.) per annum for 10-years. Comprises 4 units ranging from 7,000 sq. ft. to 9,370 sq. ft., which have been comprehensively refurbished to provide flexible modern space. Tapi will take a 10-year lease of the 10,235 sq. ft. retail warehouse unit at a headline rent of £150,290 per annum. London & Scottish Property, property and asset manager to Regional REIT Limited, has let 28,527 sq. ft. of space at Tokenspire Business Park in Beverley, East Yorkshire within the last two months. Comprising five separate deals ranging from 2,000 sq. ft. to 9,626 sq. ft., these will produce a headline rent of £63,500 per annum. These lettings follow the success in 2016 where lettings completed on the Park totalled 97,475 sq. ft., producing a headline rental income of £197,500. As at the beginning of March 2017 the Park has occupancy of 89.5% (by area) and a total contracted rent roll (including the above) of £775,800 per annum. 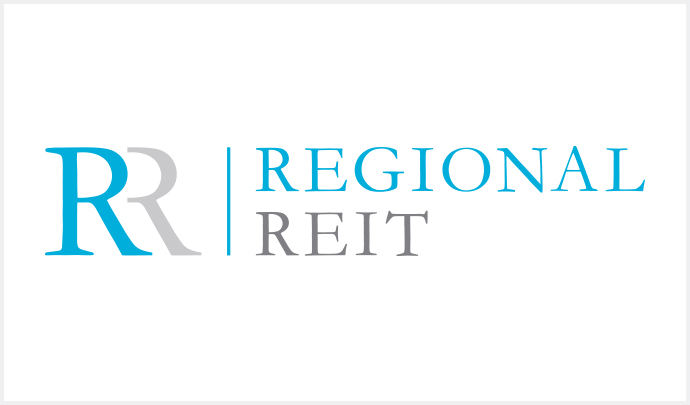 London & Scottish Property, property and asset manager to Regional REIT Limited, has commenced refurbishment of the 20,000 sq. ft. first floor of Hampshire House, Hampshire Corporate Park, Chandlers Ford, Eastleigh. Formerly known as NatWest House, the building has been re-branded as part of the refurbishment works which has already seen the creation of a new entrance and approach and the provision of new shower facilities and refurbishment of all common areas. This final phase of the refurbishment follows the expiry of the lease to Aviva in December 2016 and will conclude a £1.5m investment in the building. There is already strong interest from occupiers in the whole of the space and the Asset Manager expects to agree two new lettings filling the entire available space prior to completion of the works, at anticipated headline rents of £19.75 per sq. ft.. This emphasises the demand for quality space within the local area. London & Scottish Property, property and asset manager to Regional REIT Limited, has completed the letting of the ground and second floors at Building A, St James Court, Bristol to South West Ambulance Service NHS. The deal covers to 20,000 sq. ft., leaving one floor remaining unlet within the recently refurbished space. The new lease is for 15-years, with a tenant break option on the 10th anniversary, at a headline rent of £300,165 per annum (£15 per sq. ft.). This letting follows the earlier success in letting three out of the four suites in the sister building on the campus (Building B) to Semtech EMEA Limited who took a 10-year lease, subject to tenant break on the fifth anniversary, over 13,640 sq. ft. at a headline rent of £17 per sq. ft.. These lettings follow the completion by the Asset Manager of a £3m refurbishment programme for both buildings and highlights the continuing strength of the Bristol out of town office market. London & Scottish Property, property and asset manager to Regional REIT Limited, has completed the letting of the first- and second-floors of its Aylesbury campus development to Equitable Life. Known locally as “the Blue Leanie”, the building was acquired by Regional REIT Limited as part of the “Rainbow Portfolio” acquisition in March 2016. Equitable Life have committed to 28,424 sq. ft. of the 66,800 sq. ft. of space available at a headline rent of £426,360 (£15 per sq. ft.) per annum for 10-years. The deal will see the Asset Manager refurbish all floors within the building following the expiry of the previous lease to Scottish Widows. London & Scottish in addition have now agreed terms on 5,821 sq. ft. of the top fourth floor and legals are being advanced. London & Scottish Property, property and asset manager to Regional REIT Limited, has completed the refurbishment of three industrial units at Manor Road, Erith. The estate comprises 4 units ranging in size from 7,000 sq. ft. to 9,370 sq. ft. The units have been comprehensively refurbished to provide flexible modern space. One unit was pre-let by London & Scottish prior to completion of the works at a headline rent of £51,600 per annum (£7.28 per sq. ft.) with a second in legals at a headline rent of £62,250 per annum. This letting underlines the strong demand for good quality accommodation within the region. London & Scottish Property, property and asset manager to Regional REIT Limited, has completed the letting of the last remaining unit at Llansamalet Retail Park, Swansea to Tapi Carpets & Floors Limited. Tapi will take a 10-year lease of the 10,235 sq. ft. retail warehouse unit at a headline rent of £150,290 per annum (£14 per sq. ft.), subject to a break option at the fifth anniversary. Tapi are due to commence trading in the near future following the completion of agreed works managed by the Asset Manager. In addition, the Asset Manager has also secured outline planning consent for a 2,500 sq. ft. drive-thru food service unit on the retail park and are in advanced negotiations with a multi-national operator.